You're a golfer. You enjoy showing the world your love for the links but don't always want to dress like, well, a golfer. Then the unique style of B.G.D. is for you. A golf company that specializes in an off-the-course clothing collection, this is the perfect product for hanging at the 19th hole without playing the other 18. Featuring T-shirts that read, "Golf. Masochism At Its Finest" and "When I die, I'm playing the fairway to heaven," the company offers a much-needed jolt of fun into your hobby. 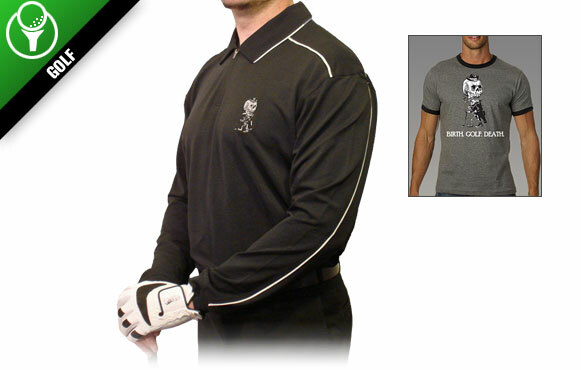 And just in case you have an urgent need to hit the links, no need to worry -- polos and outerwear are available, too. ESPN readers will receive a 15 percent discount if they use the online coupon code ESPNGG.